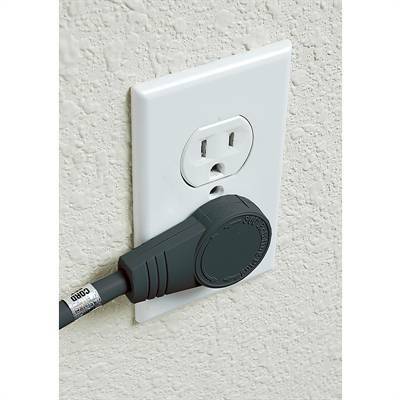 The rotating flat plug on this computer power cord makes it easy to plug into outlets partially blocked by racks or other furniture. The plug protrudes only 1/2" from the wall and sends the cord out at a 90-degree angle, making it easy to use an outlet that might be immediately behind a desk or cubicle wall. The plug at the other end is called an IEC C13 plug and matches to C14 sockets found on computers, servers, and some monitors and projectors.